It's my favorite time of the year - bootie season! 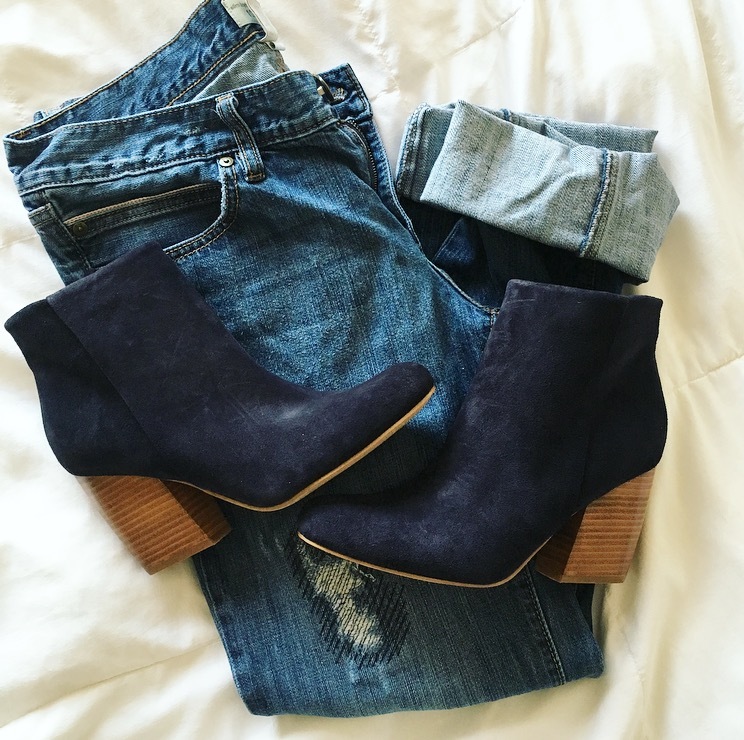 I love a good pair of booties. You can dress them up, dress them down, and I prefer them over the standard high heel. 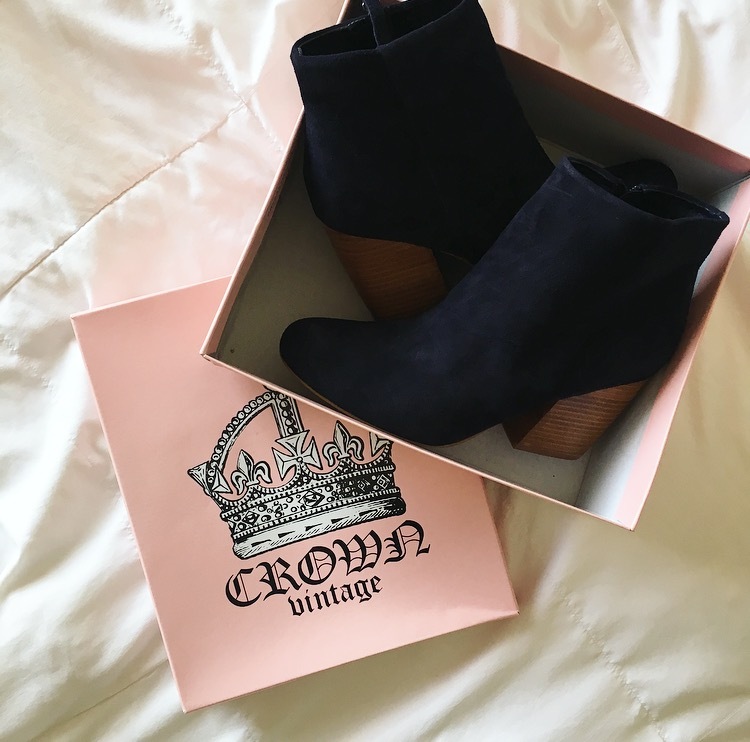 Crown Vintage brand is always my go-to for booties. I have so many pairs, and they are great quality. I decided that I needed to add a navy pair to my shoe collection. 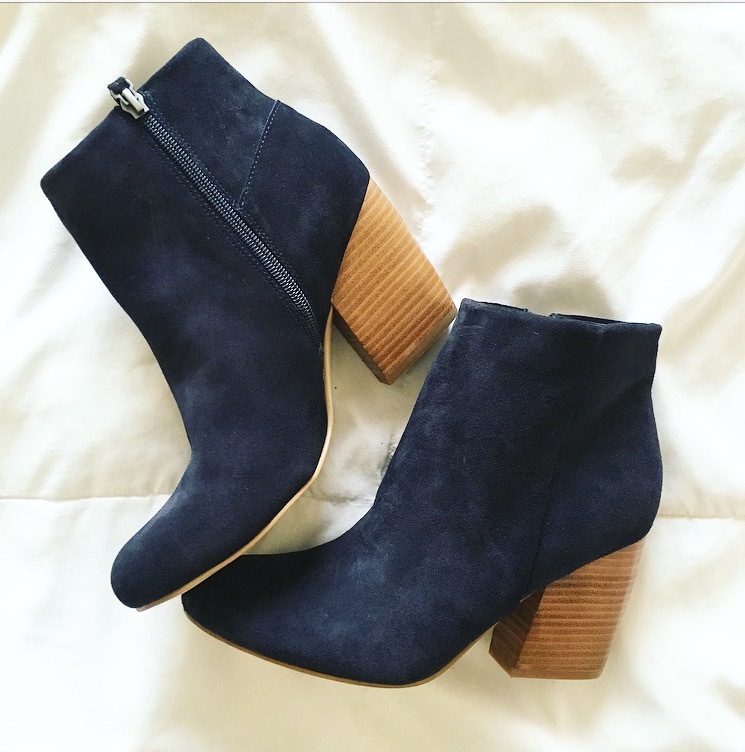 If you're looking for a bootie that you can make a statement with, I really recommend the Crown Vintage Tashaa Bootie in navy, and they are currently on clearance online! They are great for a weekend out, with a pair of boyfriend jeans. I am a sucker for a laid back look that is effortless, and these shoes are perfect! If you are building a capsule wardrobe, these are a great addition!